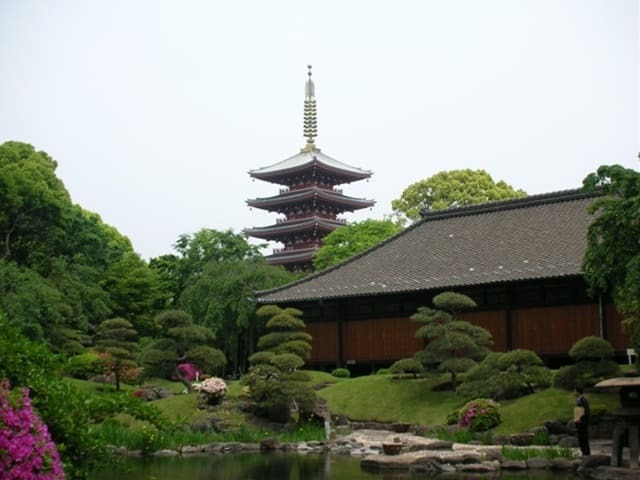 After getting off at Asakusa station, pass by Kaminari-mon and head off to the main hall of Sensoji temple. 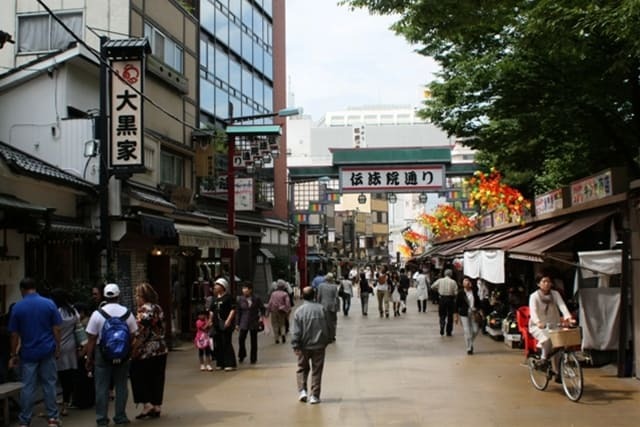 After 5-minutes walk, you will arrive at Asakusa Denpoin-dori Street. This street has good-old shoe stores, clothes shops and the gate of Denpoin Temple. By just walking around this street, you will fell as if you slipped back in the Edo Period. Enjoy Japanese good-old days. 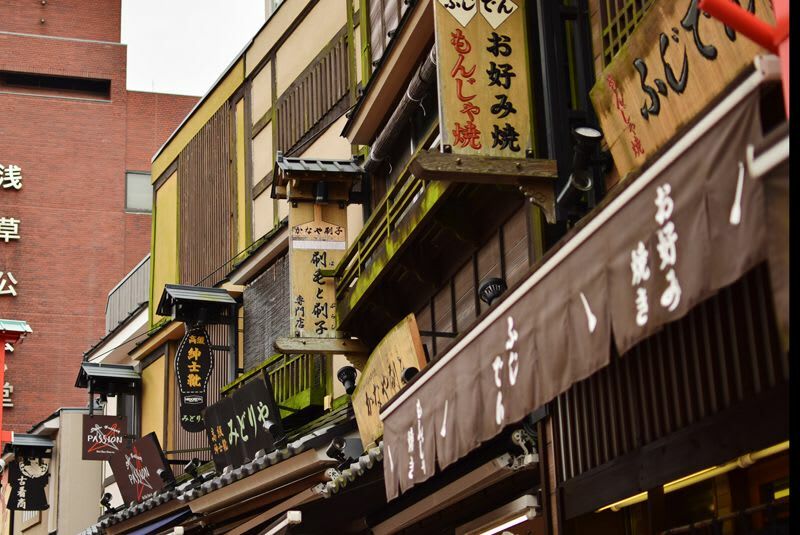 This 200-meters long street has many good-old Edo traditional crafts stores where you will fell the historical and traditional atmosphere such as Edo cut glass stores, shops dealing in fabrics for kimono, comb stores, secondhand book stores. 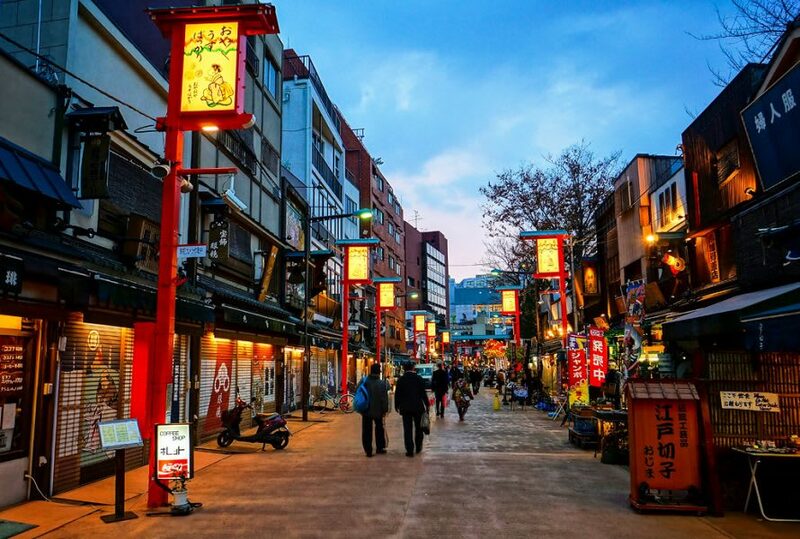 What interesting in this street is not only looking around those stores but also enjoying Edo atmosphere which elaborate signs and paper-lanterns with a comic verse on this street has. You can also find many buildings with roof tiles and watchtowers on the street. 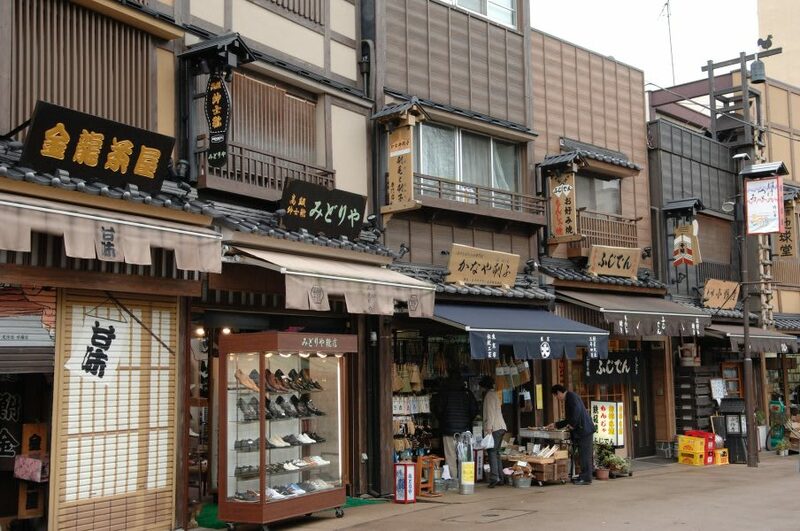 You can enjoy the atmosphere of Japanese good-old days just by walking through this street checking how unique appearance each specialty store has. When you get in the stores, you would be amazed to see their products that are more unique than their appearance. Place is inexpensive as only this kind of stores can offer. Also as price negotiation is possible, shopping itself is very interesting. How about walk down the street as if you were in an Edo town. Once you step into the street, various signs will come into view. It’s fun to see the street lined with many signs of name of stores and product’s shape itself. It would be interesting to imagine what each unique sign means. What characterize this street is many paper-lanterns with Jiguchi, a type of Japanese verse that had popularity in Edo period. During Edo period, these paper-lanterns were used in festival and fair. These paper-lanterns with interesting clever jokes won’t bore you. At the end of the Denpoin temple’s gate, there is Denpoin, the main hall of Sensoji temple. Reception hall, the front door and room for the dead are built during the Anei period. Reception hall is a chief priest’s training hall, where people come to practice copying sutra. Let’s pay attention to shutter paintings on each store. 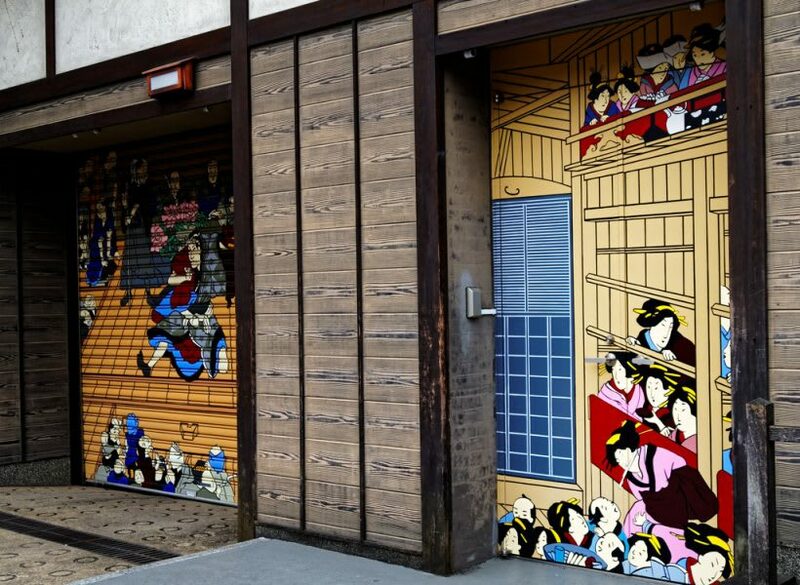 On the paintings, 8 big names of Edo period are hidden. Each person is related to Asakusa, product of the store or play and tradition. Who the world are they? Go find them after stores closed and shutters are pulled down. 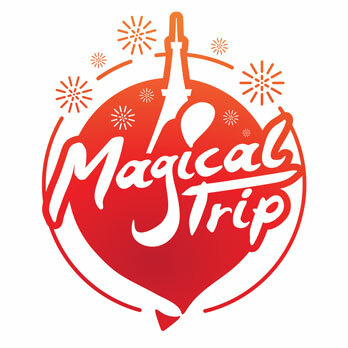 About 40-minutes from Haneda Airport, about 70-minutes from Narita Airport, about 25-minutes from Tokyo Station.